Online ordering menu for Taco and Burrito House. In the mood for some late-night Mexican? 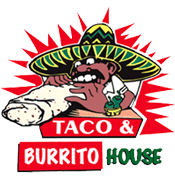 Taco & Burrito House should be your next stop! Open until at least 2:00AM, 7 days a week. We give you the best bang for your buck with large portions of our fresh Mexican cuisine, also available for delivery and carryout. You can find us at the corner of N. Broadway and W. Barry Ave, just across the street from CVS.